With the warm, fresh air, the slight breeze from the ocean, and just the overall relaxing nature of the atmosphere, I can almost taste a Piña colada now just thinking about it. It is the perfect relaxing getaway, a quick way to get a dark tan, and the perfect place to rock some of the hottest summer looks. However, the beach has its own dress code. Most likely, you won’t find many people rocking Nordstrom’s Topshop Clear Mom Jeans that sent the internet into a frenzy earlier this year. You will find beach-goers rocking more laid back and light outfits. Just throw in the added bonus that it is absolutely adorable and you just can’t pass up throwing a staple floppy hat into your beach look this summer. Perfect for on the beach soaking up the sun, off the beach enjoying some fish and chips, or even later on when it is Derby time – you are sure to be rocking this staple beach look even once summer is over. When you’re going to the beach, it is no secret you are looking for something light and airy, but also something that shows off a little skin since you spent all year working on your summer body. Remember that kimono you bought last spring to wear with skinny’s and a cute tank? 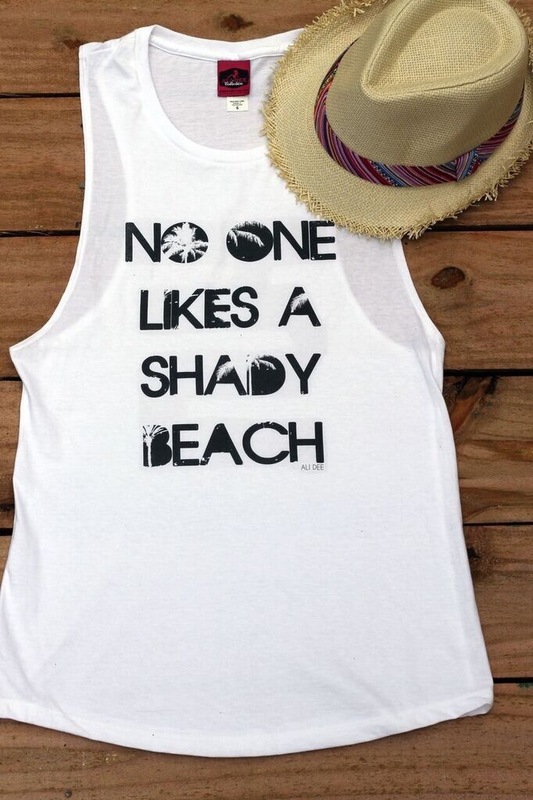 Time to pull it back out because it doubles as a simple and fashionable bikini cover-up. Everyone girl who has been to the beach for years in a row probably has a family – or individual – picture in a white dress. A solid white dress is a staple beach look every year. Grab one now and save it for next year, too! It is the outfit that just keeps giving as you use it year and year again. Crop tops are a trendy way to beat the summer heat. Try pairing it with your favorite floral maxi skirt for a cool and fashionable formal look. These make a great pair for a night out! The loose-fitting style makes them super comfy, while still being super fashionable. These are great for when you just need to slip something on super quick but still want to look like a million bucks. The quirky labels found on them can be beach-related. 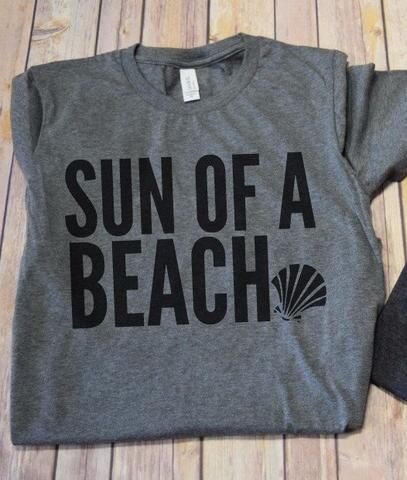 Find a graphic tee that expresses how feel about the beach so you can sport the beach even when you can’t be there. Visit wunderlabel to get some ideas or find an inspiration. Like the kimono, a button up that is just a size too big can make the great bikini cover-up. It is light and can be buttoned all the way up to protect your upper body from sun rays or left unbuttoned to show off your swimsuit while still shading your shoulders. Jean shorts are just a summer staple in general. But, they are even better for your summer beach look! Throw a pair of jean shorts over your swimsuit and leave them unbuttoned for a casual, trendy beach look. White pants and the staple white dress go hand-in-hand. 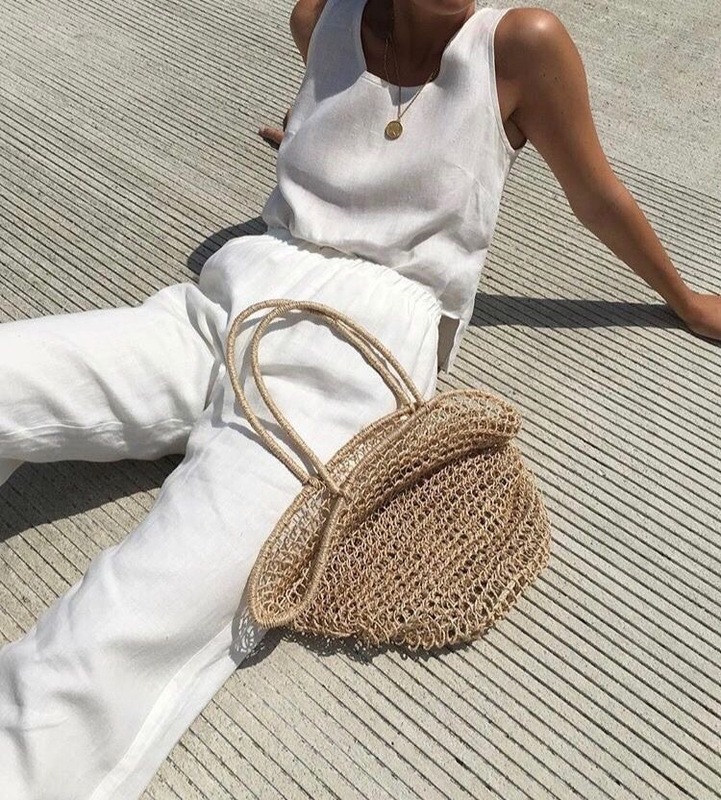 If dresses aren’t your thing, then the white pants are a beach picture must-have. Once you have your outfit just right, it’s time to focus on getting your towel and shades to the beach. 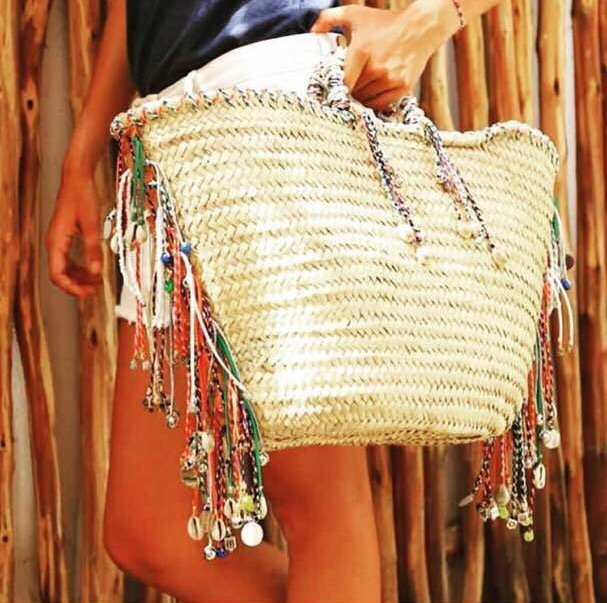 Grab a large handbag to double as a purse and a beach bag. Large handbags without any dividers in the middle are the best so that you can just throw everything in it without organizing it.